The Specialty Equipment Market Association (SEMA) is a group of companies in the automotive aftermarket, including dealers, distributors, installers, manufacturers and retailers. It was founded in 1963 and currently has over 6,600 members. SEMA hosts a number of events each year, the largest of which is the SEMA show in Las Vegas. The 2015 SEMA will provide benefits for both buyers and sellers of aftermarket automotive products. The SEMA show is held annually at the Las Vegas Convention Center during the first week of November, which is Automotive Aftermarket Industry Week. The 2015 SEMA show will take place from November 3 to November 6 and is one of the largest single events in Las Vegas. It’s closed to the public and may only be attended by buyers, manufacturers, media and exhibitors. Registration is required to attend the SEMA show. More than 60,000 buyers from many countries attended the 2014 SEMA Show. 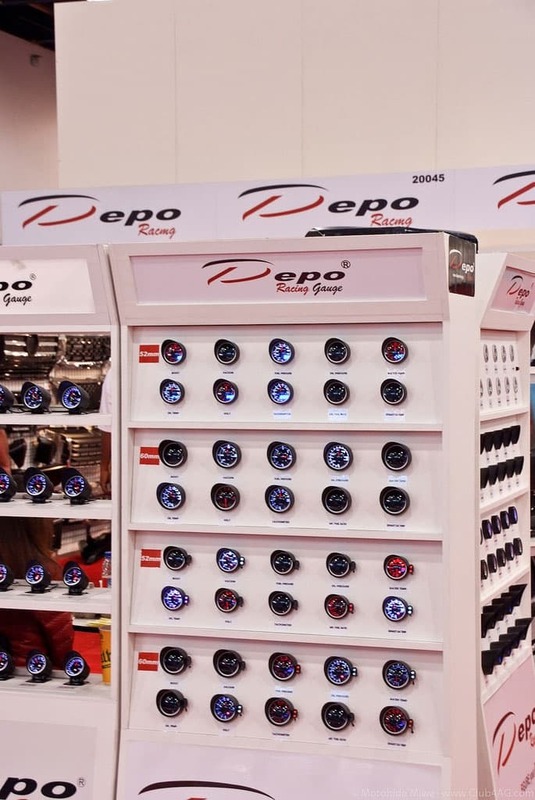 The displays included almost 2,000 products, including components, parts and tools. The 2014 SEMA Show also provided other events such as education seminars, product demonstrations and networking opportunities. 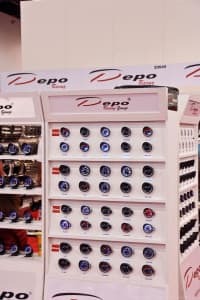 The primary reason for manufacturers to rent a booth at the 2015 SEMA Show is to showcase their latest products to the buyers attending the show. SEMA provides extensive statistics on the attendees of SEMA shows. For example, SEMA reports that eighty-seven percent of the attendees report having purchase influence, with 57 percent making buying decisions and 30 percent making buying recommendations. The buyers attending the SEMA show are composed of 40 percent executive managers, 29 percent general managers, 20 percent general staff members and 11 percent trades persons. Eighty-seven percent of the attendees report that they go to the SEMA show to see new products, and 78 percent wish to get new ideas for products. Seventy-two percent want to keep up on trends, 65 percent want to see new vendors and 60 percent want to see existing vendors. The 2015 SEMA Show will allow attendees to easily obtain detailed information on the products that interest them. This process begins at the New Products Showcase, which is at the east end of the upper south hall. Attendees can then obtain scanners at the booths labeled “Free Scanner Pickup.” The next step is to walk around the product booths and scan the products of interest. Attendees can then return the scanner to the desk labeled “Scanner Return,” where they can obtain a printed copy of the products they scanned earlier. This print out will include contact information for the products’ exhibitors. Attendees may then locate the exhibitor on the show floor to obtain additional information on these products. The 2015 SEMA Show includes an educational program that will provide thought leaders in the automotive aftermarket industry with an unparalleled opportunity to exchange ideas. This program typically includes over 60 individual sessions on topics such as industry trends, marketing opportunities and new technologies. It will also cover general business practices such as accounting, customer service, marketing and social media. SEMA will provide an online version of the education schedule for the 2015 SEMA Show sometime in early May. In the meantime, SEMA also provides a series of short videos on the expected speakers and topics. Zane Clark, SEMA’s education director, is available for suggestions and questions. Registration for the 2015 SEMA Show is available at the Las Vegas Convention Center, located at 3150 Paradise Road, Las Vegas, Nevada 89109. SEMA Show exhibitors can register early on October 29 to October 31, from 8:00 am to 5:00 pm. Early registration is also available for attendees on November 1 from 8:00 am to 5:00 pm, November 2 from 7:30 am to 5:30 pm, and November 3 from 7:00 am to 5:00 pm. Daily registration is also available from November 4 through November 6. Parking for the 2015 SEMA Show is $10 per day, which includes in and out privileges. The Gold Lot is located on Paradise Road across from the Convention Center and offers handicap parking. The Green Lot is on the Southeast corner of Desert Inn and Swenson, but it won’t be available on November 3. Overnight parking is prohibited at both locations.